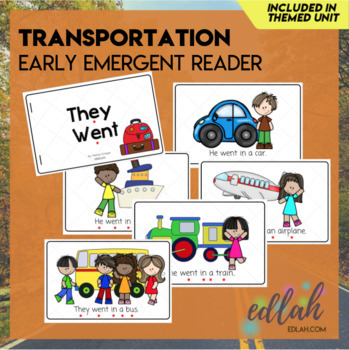 Read this little emergent reader to find out the different way the four kids travel. Prints nicely in color or grayscale. THIS BOOK IS INCLUDED in my 'T is for Transportation Themed Lesson Plans' download (available in my TpT store). Please do not purchase this book if you plan to buy the whole Transportation theme, I would hate for you to buy two copies of the same book.